Silver Linings, every breast cancer survivor’s favorite event is back. 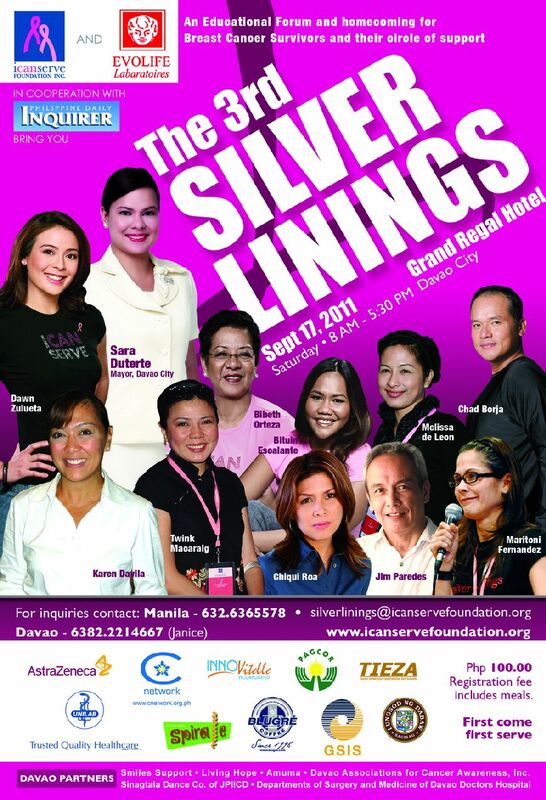 Silver Linings will be held on September 17 at the Grand Regal Hotel, Davao City, from 8 a.m. to 5 p.m. It is a national breast cancer forum and homecoming for breast cancer survivors. Registration fee is P100 per person. Everyone who will attend must register, survivor and kin, doctor and friend, student and volunteer. Online registrants get to use the quick lane to get their ID, certificate and receipt for the registration fee.